Guest Post No. 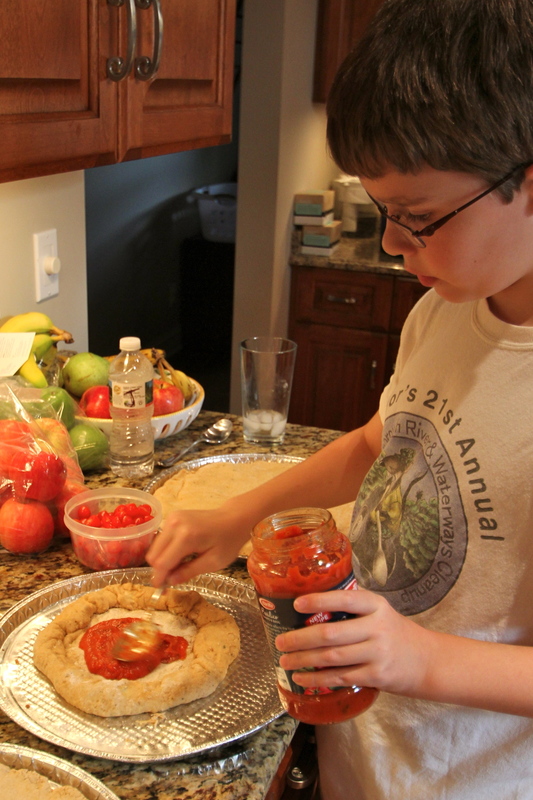 3: Junior Bravado Chef Alex Laing has stepped in this week with a post on how to make pizza from scratch. Guest chef Tobin provided the expertise and training, as well as the masterful photography. The best thing about pizza is that it can truly be all things to all people. Meat-lover? Great. Meatless? No problem. Hate tomato sauce? Or cheese? Whatever. Even celiacs can go gluten-free by making a gluten-free crust, or using gluten-free corn tortillas as their base. Pizza is the ultimate crowd-pleaser. 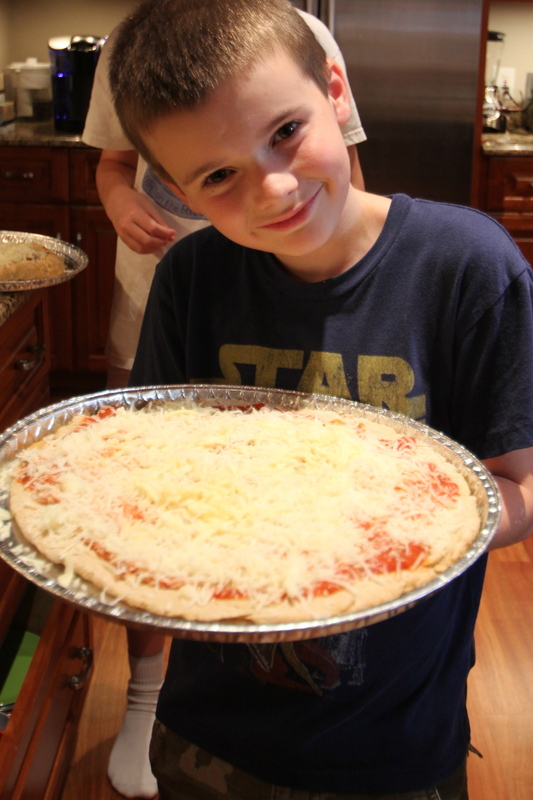 During our pizza-making session, Bravado Junior Chef, Alex, learned how to do his absolute favorite pizza trick: a cheese-stuffed crust. This is, obviously, optional, but what a cool party surprise! 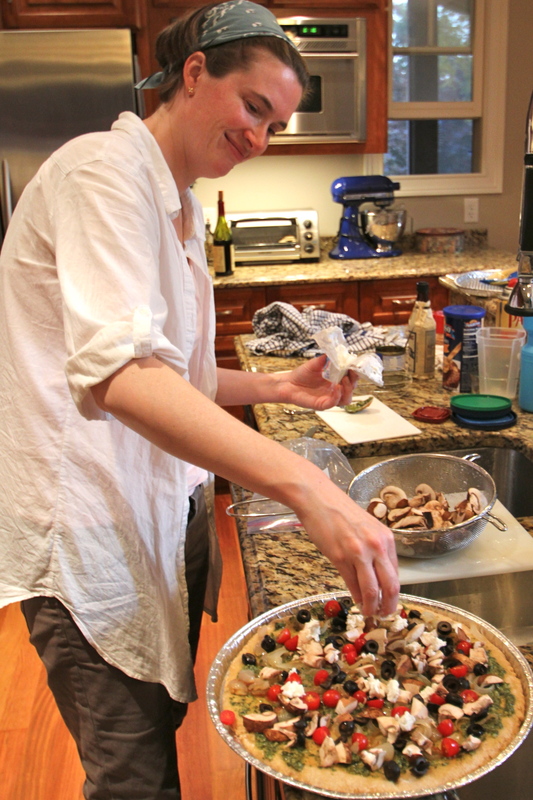 Impress your friends and family by hosting a pizza-making party. Prep the dough ahead of time, pre-bake the individual crusts, and then lay out the buffet of pizza toppings and let the fun begin. Makes 4 thin individual pizza crusts. 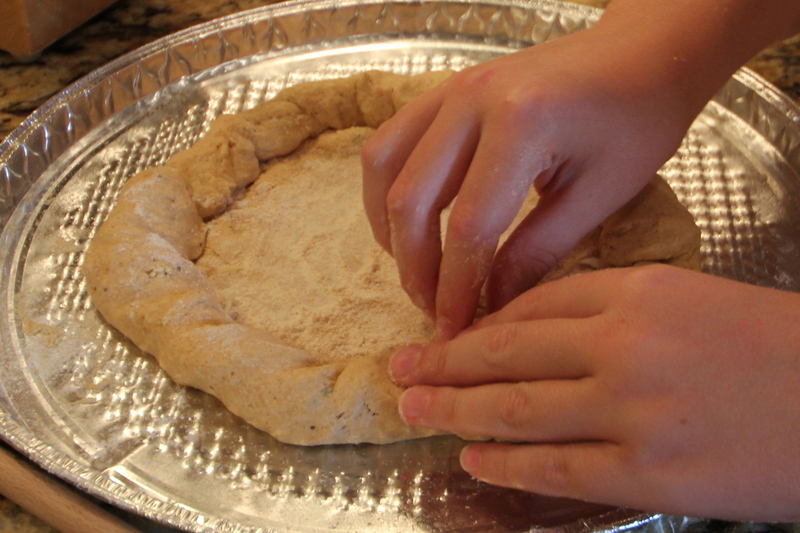 You can always make the crusts thicker or larger (in which case you’ll get fewer crusts from the batch of dough). Mix 1 packet yeast with 1 C hot water. Let froth. Add honey, olive oil, and spices to the yeast/water mixture. Mix liquid into the 2 C flour in a larger bowl until it makes a dough ball. Spray sides of the bowl with Pam. Put in the fridge to rise all day. (If you forgot to start the dough first thing in the morning, let it rise on the counter or in a warm oven. 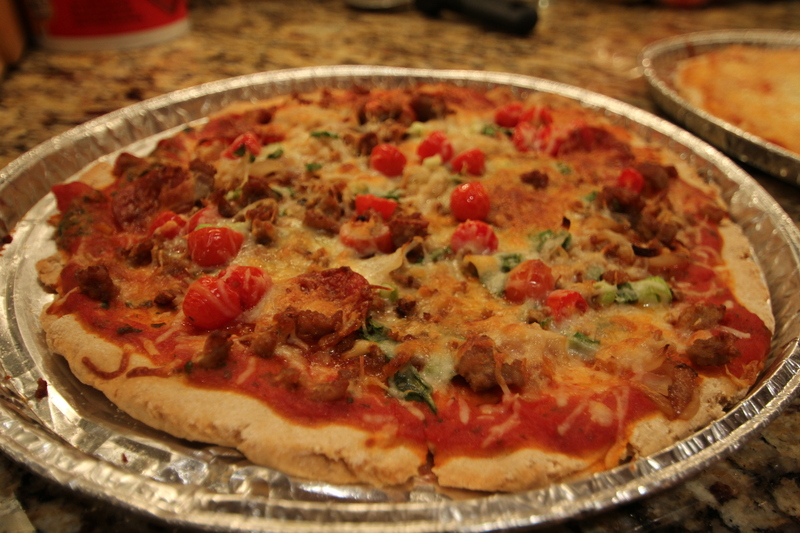 Place on greased baking sheet or pizza stone and bake for 5-10 minutes, depending on the thickness of the crust. You want it to cook most of the way but not all the way. Bake for 5-8 minutes more, depending on the number of toppings. Roll out your crust until it is 4 inches wider than you want it. 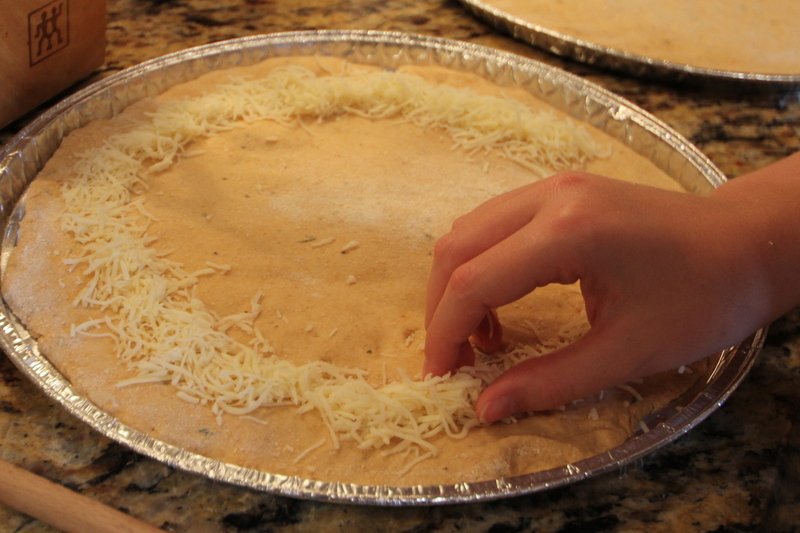 Sprinkle a line of grated cheese around the outer circle of the crust about 1 inch in from the edge. 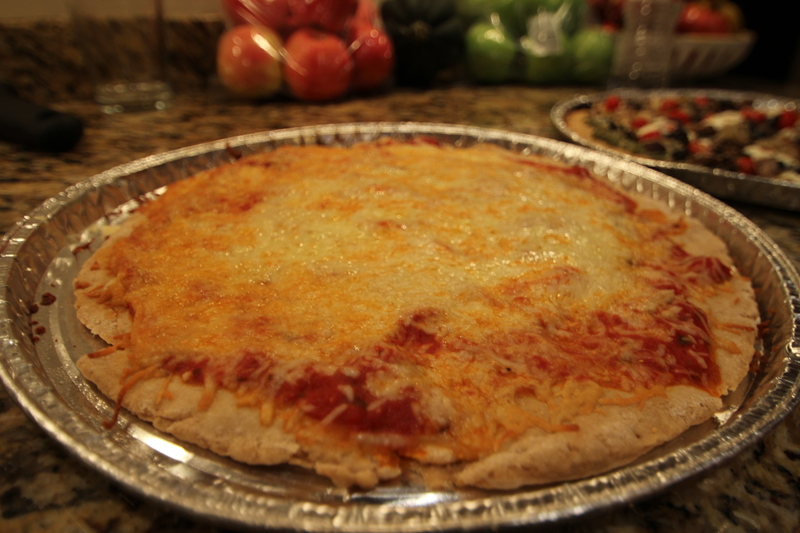 Pick up the outer edge of the crust and flip it over the line of grated cheese, all the way around. Press down to seal in the cheese. Pre-bake as instructed. 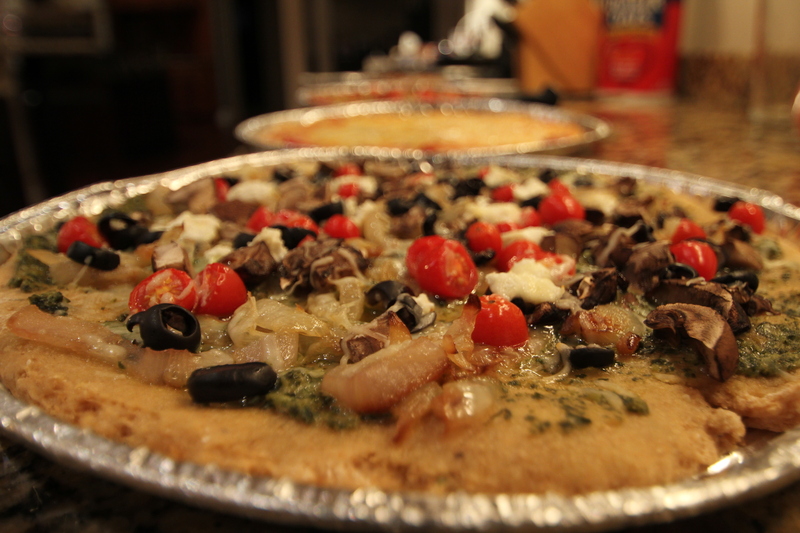 Add toppings to pre-baked pizza crusts. Bake 5 mins to melt cheese, heat through, and finish cooking stuffed edges of the crust. Love the junior chef and the appreciative brother. If Alex can do this, I should be able to also, right?